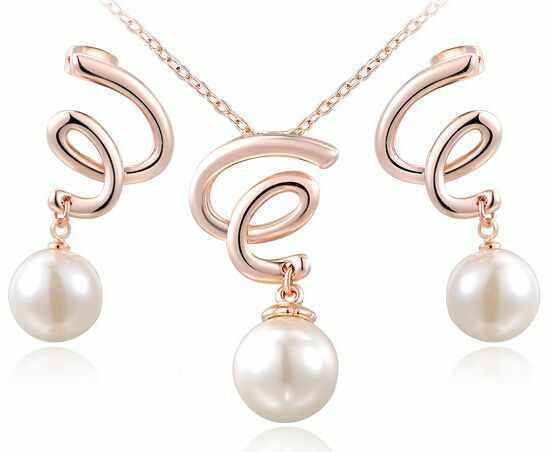 DESCRIPTIONTHIS IS A TRENDY JEWELRY SET CONTAINING EARRINGS AND NECKLACE. THE SET HAS AN DELICATE AND TRENDY LOOK. THIS JEWELRY CAN EASILY FIT INTO COMBINATION OF FORMAL & SEMI-FORMAL WEAR. BEST GIFT FOR ALL OCCASSION. THIS IS A TRENDY JEWELRY SET CONTAINING EARRINGS AND NECKLACE. THE SET HAS AN DELICATE AND TRENDY LOOK. THIS JEWELRY CAN EASILY FIT INTO COMBINATION OF FORMAL & SEMI-FORMAL WEAR.